We're doing a "Style It" Challenge every month to see how all of you rock our favorite trends! Our trend for April is: PASTELS! 1) So this is how it works: towards the end of every month, I'll announce a new trend that we are obsessing over! You'll have a week from then to pull together a style and take photos! 2) When the date arrives, simply link-up your specific post using the link up widget I'll have posted here on the t+j Designs Blog! This must be a new post...we want to see your most recent styles & products! 3) Please link back to t+j Designs from your own site so your readers can understand the "Style It Challenge", and if they choose, join in on the fun! Did I mention there is a prize involved?! Each month we will choose 1 winner whose styling really caught our eye! 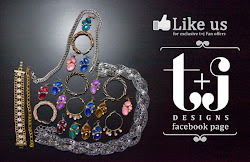 The winner will receive an item from t+j Designs that relates to that specific month's trend. 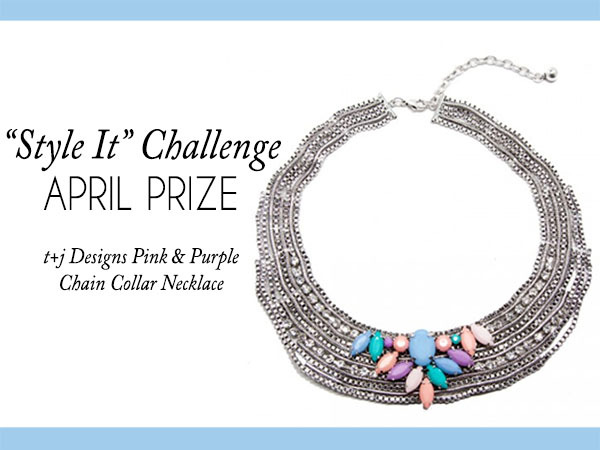 Since we are doing the trend "Pastels" for April---the necklace shown below will go to that one lucky winner! Check it out on the site here! Can't wait to see how all of you rock this trend! Good luck! Thanks Ani! Can't wait to see your look!! This necklace is gorgeous! Will it be back on the website for sale soon?